A friendship born at work. Someone you love talking with, even though your job doesn’t allow much time. But inevitably one of you leaves the job. And your paths don’t cross anymore. I had work friends in Turkey, and I have them here in Minnesota. Last November I was asked to relocate to an ESL teaching site on the east side of St. Paul, a half hour drive from my Minneapolis home. By spring, I knew I wasn’t going to continue—the commute was too long for a two hour teaching gig—so, after some thought, I resigned. I would miss my students, but I would especially miss one of my coworkers, Xa (pronounced Za) Lor. I had met Xa through substituting at her site several years before. On my first day, she gave me a big hug. After my new students left class, Xa and another aide came into the room and took out their lunches, and I sat down with them. She was talking about her daughter, she told me, who was dating a man some years older, against Xa’s wishes. I was a little surprised to be privy to this personal conversation, but it did make me feel welcome. The three of us started discussing what to do when a child is swept away by someone less than desirable. “She had a good boyfriend, but she bye-byed him,” Xa exclaimed. I loved this turn of phrase. The three of us ended up agreeing that most kids eventually come to their senses. I went away that day feeling heartened: I already had a work friend. And my stereotypes, borne of scant observation—that East Asian women are quiet and reserved—were shattered. As the months went by, I got to know Xa better. Whenever I was unsure what to do with my students, she stepped up and offered me the best advice possible. Some of it wasn’t politically correct (“You need to be firm with them. They’re crazy”), but it was always helpful. I loved that she was always willing to go beneath the surface. To express a feeling or to help solve a problem. And she was always cheerful. I don’t want to forget Xa, so here, gleaned in short conversations between job duties, is what I know of her life. The Lor family left the chaos and danger of wartime Laos in 1975. They went at night, with money sewn into their clothing and even into the umbrellas they carried. Xa, age 10, her mother, father and five siblings started out from the family farm near the capital, Vientiane, where her dad was a colonel in the Laotian army. They drove to a friend’s house near the Thai border, and then crossed the Mekong River into Thailand. The family was robbed during the crossing; the boat owners told them that if they didn’t give them all their money, they would overturn the boat. Coming ashore, they were robbed again. But neither set of thieves checked the children’s clothing. After five years in Thailand, in January of 1980, the Lors arrived in Minnesota, wearing flipflops. They were whisked to a nearby church for appropriate clothing. They noticed some leaves hanging on the oak trees, and expected that soon there would be flowers. Lor cousins had come to Minnesota the previous year and lived on the east side of St. Paul, but the furnished apartment Xa and her family received was west of downtown. The apartment had a black and white TV, a sofa, and a fully equipped kitchen. The next morning, Xa and her siblings went running outside to play barefoot in the snow. Xa, whose native language is Hmong, knew only a smattering of English when she arrived in Minnesota. Mischievous people in the Thai refugee camps had taught her and other Hmong people bad words, claiming they were American greetings. She and her siblings tried out these words on Minnesotans. She laughs about this now. Fifteen years old, Xa enrolled in Highland Park high school. She knew no English, and none of her teachers spoke Lao. I don’t know how she received an education, but I do know that Xa’s English is fast, accented, and creative. After graduating, she married Kao Yang, a welder. Xa has told me about how Hmong marriages, including hers, begin with the groom kidnapping the bride and taking her to another state. A custom with alarming undertones. Xa was happy to be kidnapped by Kao, however, and after they got married, they had six children, including twins. In the 1980s, as Hmong people began to arrive in Minnesota from Laos, Twin Cities newspapers reported that they had no written language. Xa has told me that, actually, French linguists wrote down the Hmong language during the 1950s. I didn’t meet any Hmong for years, but I recall standing near some older Hmong women at the State Fair one summer. They were tiny, with deeply wrinkled faces, and they wore flimsy-looking shoes made of black cloth. Aware of recent events in southeast Asia, I felt sorry for them. Xa and her family expected peace and safety in the U.S., and they were happy to find it. After her youngest child was born, Xa looked for a job that matched her skills, and found work as a classroom aide in the St. Paul Schools’ Early Childhood Family Education program. She has worked there for 27 years. Xa also became interested in farming. She and Kao borrowed money to buy a farm in Minnesota and then another in Wisconsin. They planted onions, cilantro, dill, chives, lemon grass, oregano, and rosemary, and sold them at the Minneapolis farmer’s market. It was hard work, done manually, as in the old country, and the whole family helped. The Lors now own their farms free and clear. Xa serves on the board of the farmer’s market, and in 2006, Xa and Kao were named Minnesota Farm Family of the Year for their contributions to agriculture and their communities. Immigrants often find themselves with other immigrants. In the ESL classes I taught, Somalis sat next to Mexicans. People from Myanmar studied with people from west Africa. At the Midtown Global Market in Minneapolis, a Cambodian restaurant is next to a Mexican bakery is next to a Moroccan cafe. Proximity doesn’t always lead to tolerance, but in the Lor family it has. 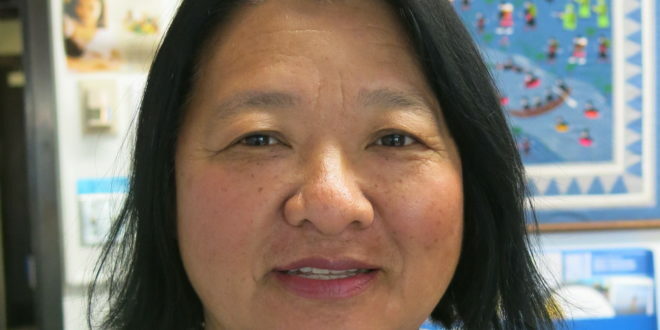 Xa reports that her children, and her nieces and nephews, have married other Hmong, but also Chinese, Indians, Vietnamese, African Americans, Filipinos, and (for lack of a better word) Anglo Americans. She tells me that some Twin Cities Hmong, particularly those who have managed to complete college, put on airs. And other Hmong, she says, still feel foreign and long for the old days in Laos. American, of course. A unique American. Knowing Xa has enriched my life. I will miss you, Xa!